The High Roller is a 550-foot tall and 520-foot diameter is Caesars Entertainment Corporation's $550 million and it said is the world's tallest observation wheel. A full rotation of the wheel is expected to take about 30 minutes. 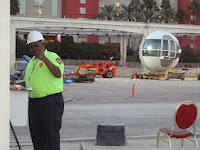 High Roller will have 28 cars, able to carry 40 people, giving a total capacity of 1,120 passengers. It will be the centerpiece of the LINQ and will be ready to on second quarter of 2014. 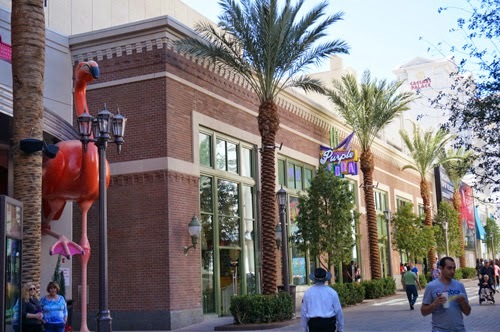 The LINQ, an open-air retail, dining and entertainment district on the Las Vegas Strip. It will span more than 300,000-square-feet of space for leasing and feature more than 30 unique retail, dining and entertainment experiences. You can get there by the Flamingo Hotel & Casino or by Albert Ave, corner to Koval Lane, Paradise.